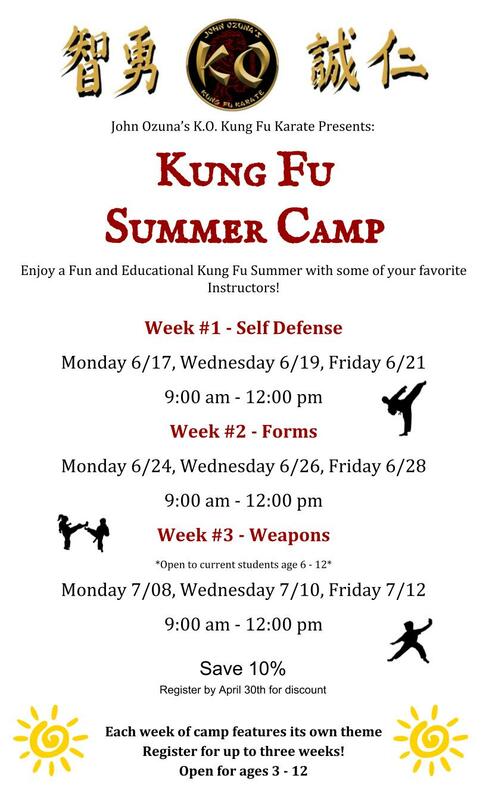 KO Kung Fu Presents: 2019 Kung Fu Summer Camps! Camp registration is now OPEN. Participate in Themed Kung Fu Classes - learn special skills! The official 2019 K.O. Kung Fu Summer Camp Shirt is included with registration! Have your child join us for K.O.’s annual Summer Camp! We offer an exciting Summer Camp experience filled with fun and educational Kung Fu-themed activities.